There’s nothing like the annual Kansas City Golf Show to get people hyped about spring and the upcoming golf season. This year’s three-day show starts on Friday, Feb. 15 at the Overland Park Convention Center, and features the newest models of golf clubs, racks upon racks of used equipment, golf clinics, and dozens of sponsor booths. All that you maybe knew – but did you know it also offers up to 17 rounds of free green fees just for buying a ticket? Tickets are $15 for adults and $13 for seniors over 60, veterans, police and firefighters. Saturday is kids’ day at the show, where they’ll find giveaways, a junior putting contest and drawings for free lessons and other prizes. Hours of the show are 11 a.m. to 5 p.m. on Friday the 15th, 10 a.m. to 5 p.m. on Saturday the 16th, and 10 a.m. to 4 p.m. on Sunday the 17th. 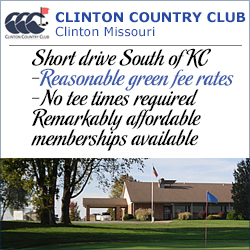 The free rounds include one at a Champions level GreatLIFE KC course, one at Mules National Golf Club in Warrensburg, Mo., one at Old Kinderhook at Camdenton, Mo., and 13 on the Lake of the Ozarks Golf Trail courses. The 17th round is at Brookridge Golf & Fitness for the first 400 attendees each day. An additional round at a GreatLIFE course is available for people who buy a ticket online at kansascitygolfshow.com. 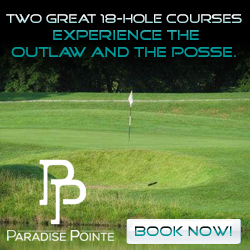 The free golf generally covers only green fees, with cart fee required. The golf also must be played within certain time frames. 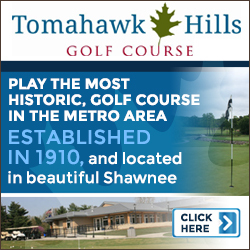 The restrictions are detailed on kansascitygolfshow.com. Everybody attending the show also gets a $10 coupon for Topgolf and a $25 credit for the TeeOff by PGA tee time service. A three-day package ticket for $49 buys admission all three days, a bonus 13 Lake of the Ozarks Golf Trail passport, a round at Lodge of the Four Seasons, $10 in coupons for games at the show, and other extras. The total return is worth $962, according to show organizers. Long, though quick-moving, lines are expected at the show’s 11 a.m. Friday opening, Beaky said. The next busiest time is about 1 p.m. on Saturday, he said. “More than anything else, people want to come out and see the new golf clubs,” Beaky said. 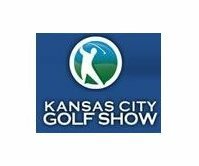 “The cool thing is that the Kansas City show is shortly after the PGA merchandise show, so golfers in Kansas City are some of the first in the entire country to see the newest drivers and other clubs.” All the new clubs can be tested in nets set up by vendors at the show. Representatives of all the top brand names will be available for consultation and club fitting. The show also features putting, chipping, long drive, and closest to the pin contests for fun and prizes. The weekend-long event typically draws about 8,500 people over the three days, Beaky said. Weather can dictate turnout, with cold weather sending people to the show, and balmy conditions having a dampening effect, he said, because people hit the course instead. The continued strong turnout for the show belies the notion that golf is waning in popularity due to competition for everyone’s entertainment time and money, Beaky said. There is a trend, though, toward corporate ownership of multiple courses as opposed to “mom and pop” course, he said. Golf has received a boost from Topgolf, such as the one on Nall Avenue just north of Interstate 435. At Topgolf, people can hit balls at a variety of outdoor targets from covered tee boxes flanked by restaurant and bar seating. Topgolf is among more than 100 sponsors and exhibitors at the show. Many local and regional golf courses and golf resorts will have booths at the show, with special rate promotions. There will also be booths for home, garden and landscaping improvements, as well as fitness, health, recreational offerings. “There is really no end to the amount of things you can get out of the show,” Beaky said. 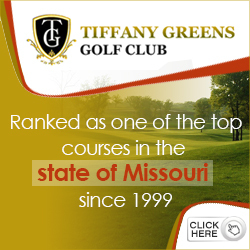 For more information, checkout the Kansas City Golf Show’s website…and we’ll see you at the Show. This entry was posted in Featured Articles by KC Golfer Magazine Publisher. Bookmark the permalink.